Thank you for your interest in supporting local farmers and enjoying local foods while on vacation in Ocean Isle Beach. We collaborate with NC State University’s Fork to Farmer project and with local partners to power the online sale of produce bags from local farmers. To pick up your Vacation Vittles bag(s), go to Cooke Realty between 3-5pm on the Saturday of arrival, bags can also be picked up at Surf Unlimited the following Sunday morning from 10-12pm. If not claimed by Sunday at 12pm the bag will be donated to a local food pantry. Vacation Vittles sells beach vacationers at Ocean Isle Beach one or more produce bags filled with local food grown and harvested by farmers located in Brunswick, Columbus, and Bladen Counties, North Carolina. Youth ambassadors at Men and Women United for Youth and Families, CDC will fill the Vacation Vittles Produce Bags and deliver them on Saturday of each week. To pick up your Vacation Vittles bag(s), go to Surf Unlimited in Ocean Isle Beach. 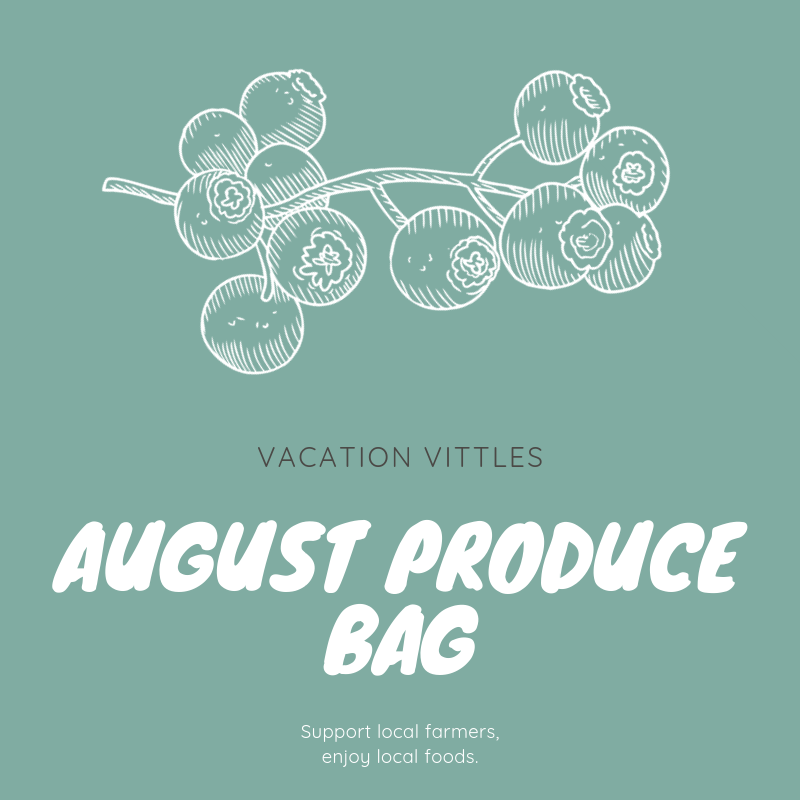 Each Vacation Vittles Produce Bag will be filled with a variety of produce picked at the peak of freshness by area farmers, and packed and delivered the following day for easy customer pickup the day they arrive in Ocean Isle Beach. Each bag will contain enough fresh produce to feed a family of four at least three servings of fruit and vegetables for the week. Each customer vacationing in Ocean Isle Beach Island during the month of June may order one or more bags of produce. Each customer vacationing in Ocean Isle Beach Island during the month of July may order one or more bags of produce. Each customer vacationing in Ocean Isle Beach Island during the month of August may order one or more bags of produce.